After finishing her studies in June 2013, Siobhan began her career as a young artist at the Salzburg Festival (2013) and the Deutsche Oper Berlin (2013-2015), where she debuted as Woglinde and the Woodbird in the Ring cycle conducted by Sir Simon Rattle. While still a young artist in Berlin, Siobhan debuted at the Hamburg State Opera as Cordelia in Aribert Reimann’s Lear, conducted by Simone Young (available on DVD). She sang Dede in Bernstein’s A Quiet Place with Kent Nagano and Ensemble Modern and Marzelline in Fidelio at the Grand Théâtre de Genève. In 2015⁄16, Siobhan returned to the Hamburg State Opera as Blonde Die Entführung aus dem Serail and to the Grand Théâtre de Genève as Morgana Alcina. She stayed on as soloist at the Deutsche Opera Berlin, expanding her repertoire to include Sophie Der Rosenkavalier, Gilda Rigoletto and Marguerite de Valois in Die Hugenotten. 2016 marked Siobhan’s BBC Proms debut at the Royal Albert Hall, singing Zemlinsky’s Lyric Symphony with the BBC Symphony Orchestra conducted by Simone Young. She debuted at the Sydney Opera House as guest artist for Roberto Alagna’s Australian tour. Other engagements include her debut with Gewandhausorchester Leipzig, Dutch National Opera (Amsterdam), Paris Philharmonie with Christophe Rousset and Les Talens Lyriques, Handel Messiah with Oslo Philharmonia, Puccini La Rondine with the Münchner Rundfunkorchester, a New Year’s Eve Gala with the Gürzenich Orchester Köln and Haydn Die Schöpfung at the Haydn Festival in Vienna. In 2018, Siobhan made a “formidable” U.S. Debut at the Lyric Opera of Chicago in the title role of Massenet’s Cendrillon, conducted by Sir Andrew Davis. She debuted as Mélisande in Pelléas et Mélisande for Victorian Opera and made her Bayerische Staatsoper debut in Ariadne auf Naxos. She returned to Hamburg State Opera as Gilda Rigoletto and sang Musetta La Boheme, Zerlina Don Giovanni and Contessa di Folleville Il Viaggio a Reims at the Deutsche Oper Berlin. Siobhan performs regularly in her native Australia and in New Zealand, giving concerts and national radio broadcasts with the Melbourne, Tasmanian, Adelaide, Queensland and West Australian Symphony Orchestras and the Auckland Philharmonia. In 2015, she was nominated for Best Australian Artist in the Limelight Awards. Her debut album ‘Hymne à l’amour’ (2013) was nominated for Best Classical Album in the Australian Independent Music Awards. 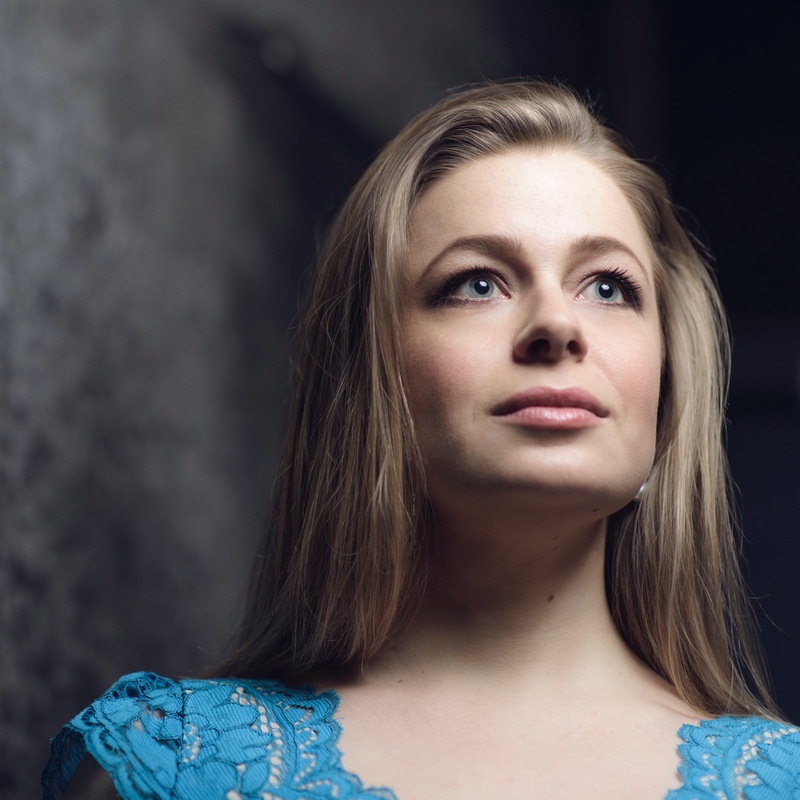 Siobhan enjoyed success in several major international competitions, most notably the 2014 Belvedere Singing Competition where she won the Prize of the International Media Jury, and the 2014 International Mozart Competition in Salzburg, where she was awarded the Special Prize for the Best Interpretation of a Strauss Song. She won First Prize and the Audience Choice Award at the International Meistersinger Competition in Graz, Austria and numerous scholarships and awards during her studies in Australia. Siobhan has worked with conductors including Sir Andrew Davis, Sir Simon Rattle, Herbert Blomstedt, Christian Thielemann, Simone Young, Donald Runnicles, Nathalie Stutzmann, Jeremie Rhorer, Christian Curnyn, Kristiina Poska, Matthew Halls, Alondra de la Parra, Stephen Layton, Kent Nagano, Manfred Honneck, Pinchas Steinberg, Ivan Repusic, Enrique Mazzola, Leonardo Garcia Alarcon, Nicholas Carter and Johannes Fritzsch. Siobhan has several recording projects in production, including a new arrangement of Debussy’s Ariette Oubliées with the award-winning Noga Quartet, and a Mozart album with Sabine Devieilhe and Ensemble Pygmalion, conducted by Raphaël Pichon. Siobhan is represented worldwide by Askonas Holt in London. Future plans include her debut at Festival Aix-en-Provence in a staged version of Mozart’s Requiem, her role debut as Micaëla Carmen at the Deutsche Oper Berlin and a return to the Salzburg Festival. Siobhan is 2019 Artist-in-Association with the West Australian Symphony Orchestra and their Chief Conductor, Asher Fisch.